October 1952 finds eighteen-year-old Marie Bates relocating from her rainy hometown in the Pacific Northwest to the sun-soaked streets of Los Angeles, California. Marie’s plans for a teaching career take an unexpected turn when she’s asked to take a screen test at a major motion picture studio. As their careers hit the fast track and friendship evolves into romance, the expectations of Hollywood stardom threaten to shine a spotlight on Aidan’s dark past before he can make peace with it. Elizabeth must help Aidan confront the painful event that shattered his life and conquer a terrifying truth before it destroys him and their future together. 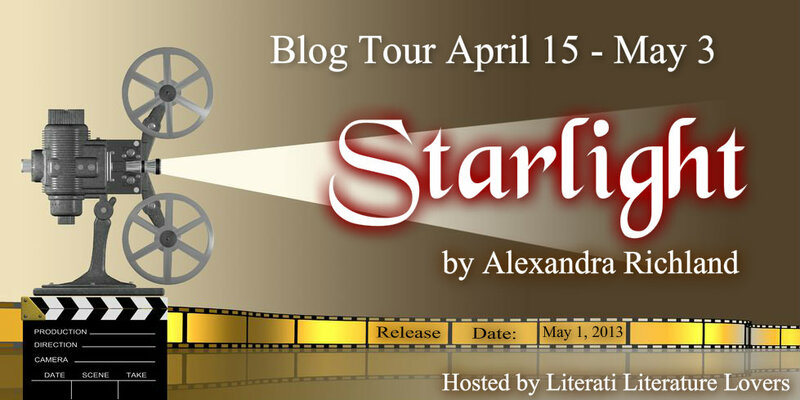 The first book in the Starlight Trilogy, Starlight is a story of love and redemption set against the backdrop of the final years of Hollywood’s Golden Age. I am a twenty-nine-year-old nurse from Toronto Canada. I enjoy writing, running, reading, and collecting 1950s Hollywood memorabilia. My modern day adventure, romance, and mystery novel, Frontline, will be available shortly in various e-book formats. My short story, Gilded Cage, is currently available for purchase on Amazon and Smashwords. 1 lucky winner will receive a $15 gift card to B&N or Amazon, Starlight e-book & Gilded Cage e-book. The giveaway starts Monday 4/15 at MIDNIGHT and goes through the end of the day, Friday 5/3.